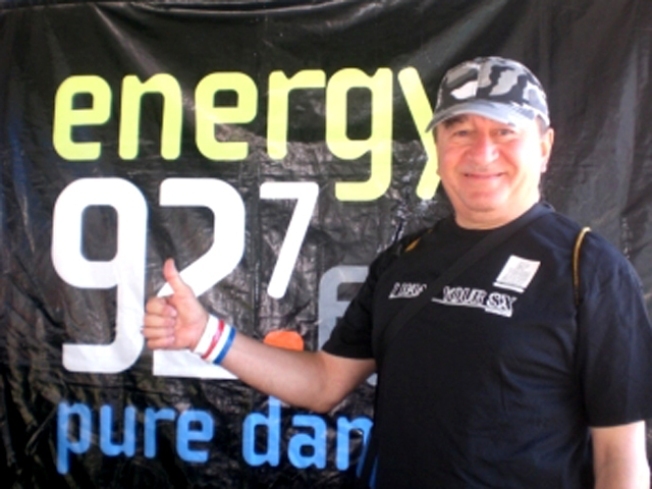 There will be no happy posing with Energy 92.7 signs, as the radio station goes off the air. Eventually everyone's energy wanes and the aptly named dance radio station has officially run out of steam. San Francisco-based Energy 92.7 confirmed rumors that the station is going off the air on its Facebook page Thursday. No reason was given for the closure but a farewell party (with possible answers) will take place at The Lookout in San Francisco's Castro district Friday night at 5 p.m.
"Dear fans, we just got the word. 7pm is the end of Energy 92.7," the station told its fans on Facebook. "Thank you all for your support. You have been the greatest listeners a radio station could ever have! We love you. Keep dancing." The radio station was sold this summer for $6.5 million after being bought for $33.7 million five years earlier. The gay friendly pure dance station's website is still up but an option to stream audio live leads to a broken link.